Also not a surprise was the new controller (because the basic premise had already been “leaked”). 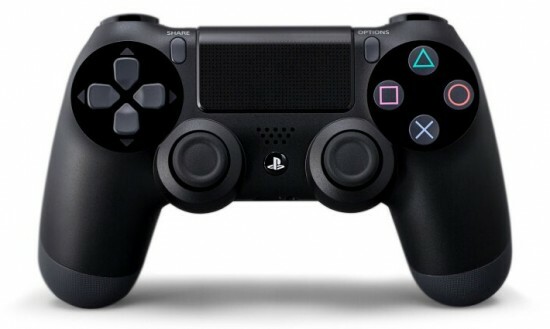 The Dual Shock 4 will feature a “share” button to put gameplay footage to the WWW. While it seems like a good thing as it should enable for more Let’s Plays to go online, it is going to also allow for a lot of people who aren’t as talented or as entertaining as they think they are to add even more unwanted footage online, but at least there won’t be any new Harlem Shake videos from it. It will also feature touch input, new analog sticks, new d-pad and motion controls. Please Sony, stop using motion controls. You have this powerful piece of equipment that can showcase great visuals, don’t make me turn my arms like a real steering wheel anymore. I spend an hour in the car every day commuting to work. I am fine with just pulling a trigger. The announcement today also came with a list of games that stood out. Watch Dogs looked amazing while it was being played as did the unique art styles of Knack and The Witness (from Jonathan Blow who created Braid). The one game that went over to a less than stellar reaction was Diablo III. Should the PlayStation 4 release in November (which no one knows for sure since the release date was never announced), it will be almost a year and a half since the original PC release of Diablo III. It almost feels like the Bioshock or Mass Effect scenarios at work that while it is nice for people who own a PS4 to be able to play the game, most people who were really looking forward to Diablo III will probably have already played it and Sony is just missing the vote. The rest of the lineup shown definitely stood out both visually and having brand names like Infamous, Killzone and Final Fantasy behind it. Was also crazy to see Bungie on stage pushing Destiny from themselves and Activision on a PlayStation console but it made sense for them to take their new title multiplatform. Finally, what everyone else is saying but I have to as well, I was disappointed not to see the actual console. While the Wii U just looked like a smoothed Wii, there is an anticipation and excitement to seeing the new box that is going to adorn my entertainment center for the better half of the next decade. Not shocking is that Sony did NOT announce the release date. Right now, they have thrown the ball in to Microsoft’s court for the next XBox announcement. If Microsoft takes too long, they risk not getting the system out this holiday with proper promotion. Announce too soon though and Sony can swoop in and put their PS4 out in advance of the next XBox. For now, we wait until the Microsoft announcement to see what Sony’s next move will be. Today marks the start of a very intriguing year for the console market, possibly the most interesting year to date in the Sony vs. Microsoft war. The ps4 announcement was stunning. Microsoft is going to have A LOT of ground to make up if the rumors are true and the system is more designed to be a roku on steroids. Everything I’ve heard about it is saying that it’s focusing on aspects other than gaming, and it seems like gaming is more of a feature than a focal point of the next Xbox. If that’s the case, then I think that Xbox will meet its end rather quickly.